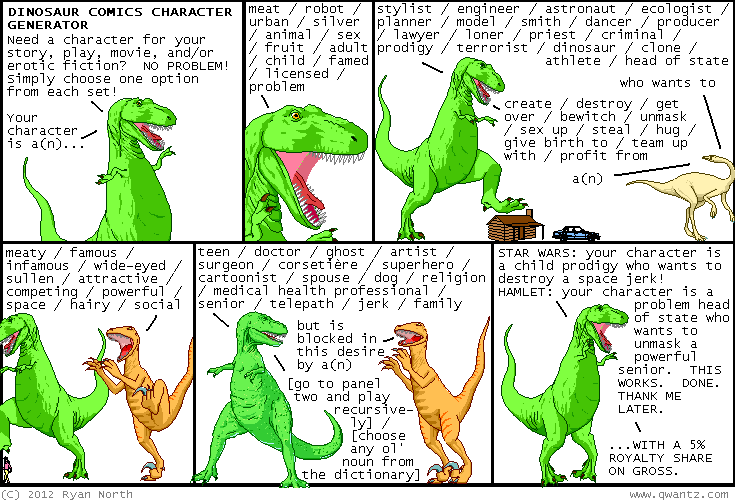 Dinosaur Comics - May 30th, 2012 - awesome fun times! May 30th, 2012: I don't want to alarm anyone but I'm still big into my tiny little Key Rexes! One year ago today: i don't believe t-rex's echo worked that great in panel 2, i will have words with him about ever doing THAT again.